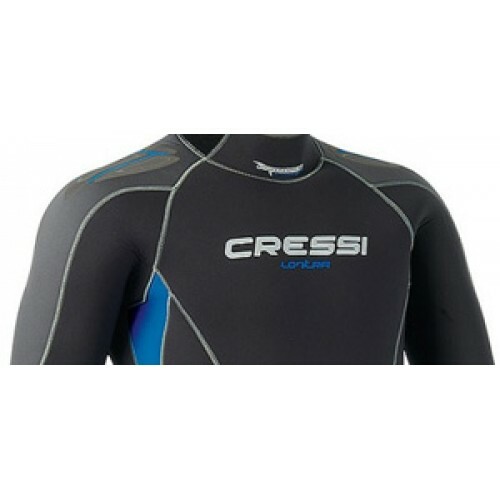 Version of the Lontra wetsuit, made entirely in 5 & 7 mm double lined Ultraspan neoprene, with inner lining in Helioflex, which is exceptionally supple and soft. 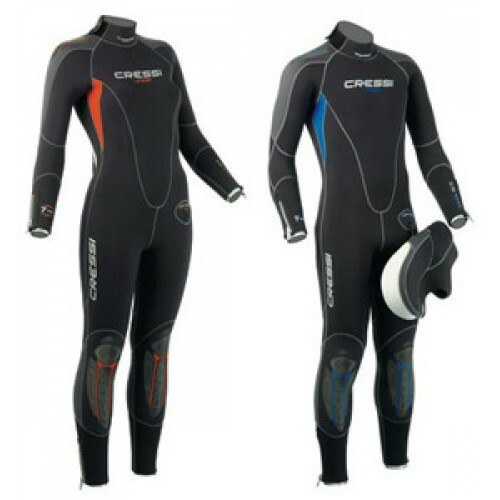 Produced in two versions, one for men (Lontra Man) and one for women (Lontra Lady), this is a modular wetsuit that includes an all-in-one, jacket and hood, which can all be purchased separately. 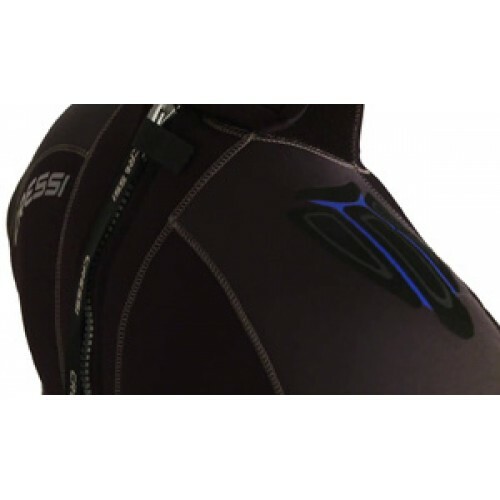 The long sleeved all-in-one has a modern, vertically positioned, Rear watertight Tizip zip and has a protective zip cover. 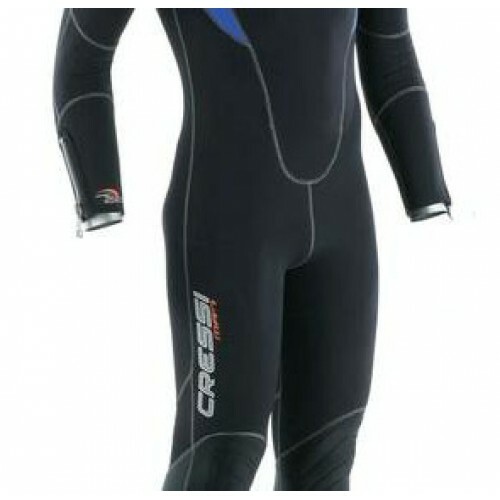 The wrists are sealed with double cuffs: 3 mm Ultraspan neoprene on the outside, over a cuff in 2 mm Metallite, whilst at the ankle there is also a zip to help when putting on and taking off. 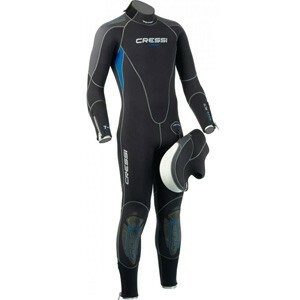 Jacket optional: The short sleeved jacket, in 5 mm neoprene, has a zip up to the face and an incorporated hood. 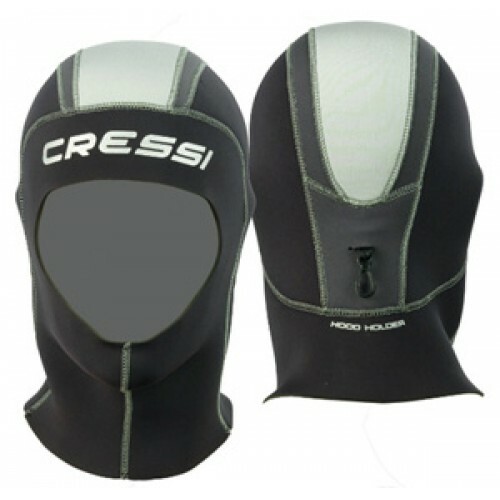 To limit water infiltration it has a double Aquastop under-zip and a watertight seal around the face. 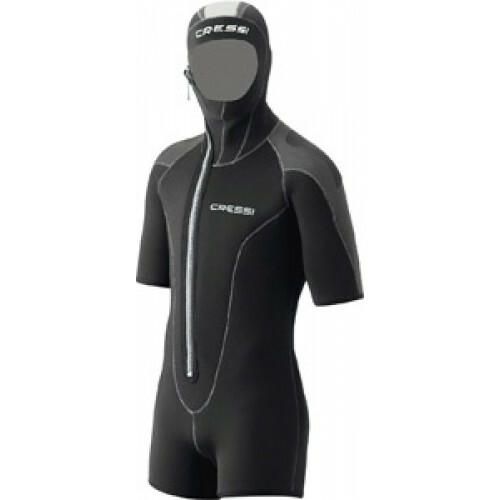 Hood optional: 5 mm hood with watertight seal around the face-neck and valve for stale air, Which is indispensable with the all-in-one when the jacket is not being used, has a special Airfree valve to automatically eliminate stale air and has smooth neoprene seals at the neck and around the face. The all-in-one is ideal for average water temperatures. The suppleness of the material, the zips at the ankles and the generous opening at the back provided by the vertical watertight zip, allow the user to put on and take off the suit with particular ease. 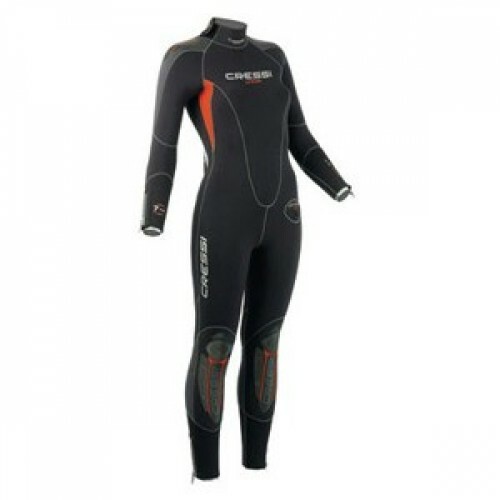 When worn with the jacket this is a very warm wetsuit and is suitable for the coldest temperatures, excellent for dives in very deep waters, where the 10 mm of neoprene provided on the chest offer adequate protection even when compressed by atmospheric pressure. 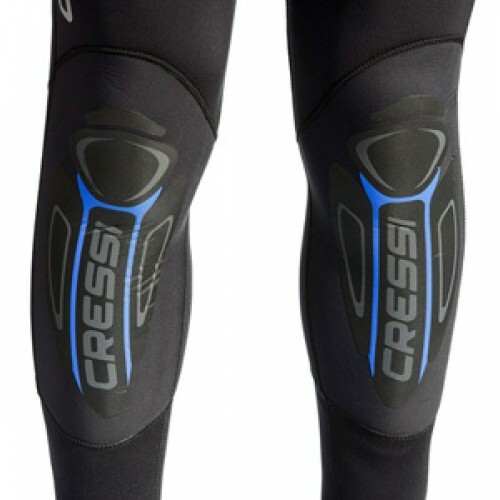 Protection Shoulders and Knees have reinforced anti-wear pads. Zip Type Watertight T-Zip and has a protective zip cover.